The return of a classic! 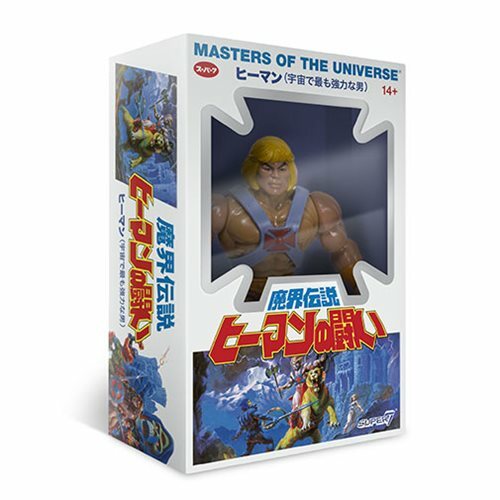 Based on the classic Filmation cartoon character designs as well as Mattel's original action figures, this Masters of the Universe Vintage Japanese Box He-Man 5 1/2-Inch Action Figure comes in Japanese-style retro packaging with a cool accessory. Each figure has a spring-loaded punch mechanism, plus a custom character history card. Collect them all - they're awesome!